Interthinx has done it again. This time with a quarterly newscast called “Fraud Bytes.” The newscast focuses on trending topics within the mortgage banking industry. Interthinx has made the newscast available via its website and on YouTube. Hosted by Interthinx’s Kristi Kennelly, the four minute newscast is another example of how companies & organizations are leveraging their expertise, experience, solutions and strategic use of media in order to reach more people online using new media. 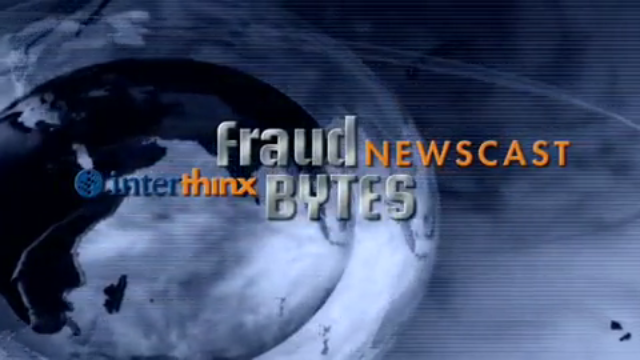 Interthinx has plans to produce four Fraud Bytes newscasts and four FHA webisodes in 2009. Interthinx has embraced this new media campaign because of its affordability, its quick turnaround and the ability to track click-throughs and web traffic via free services such as YouTube, Vimeo and Google Analytics. For a higher-quality version of the Fraud Bytes newscast, click here.